Just in time for the 4th of July, the blueberries are ripe and ready. These warm days have ripened the berries enough to [finally] be picked, which means that the ever popular U-pick can begin. TOMORROW! Beginning Friday July 1st the U-pick will be open Monday -Saturday from 8am-5pm [including July 4th], through the month of July or until the patch is picked. The farm is located at 1052 Lake Rd, Burbank, WA on the corner of Lake Rd and HWY 124. The cost for U-pick is $3/per pound, or if you'd rather we pick for you, the cost is $4/per pound. We provide the picking buckets and a bag to take your berries in, but feel free to bring a bucket or box for transportation if you prefer. 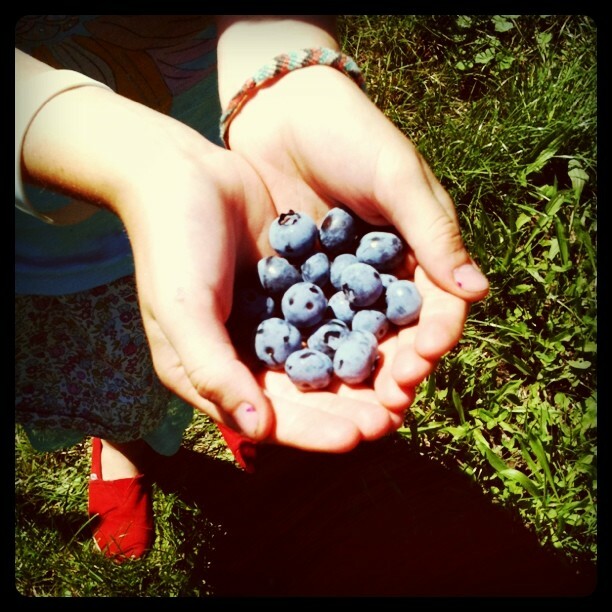 Picking berries is a fun family activity that children really enjoy. So come on out and taste the best blueberries around!